Shevenge is showing as part of the Film4 Frightfest Short film program. Check out the trailer below. The film stars Emme Rylan, Jessica Sherif, Megan Lee Joy and is directed by Amber Benson. 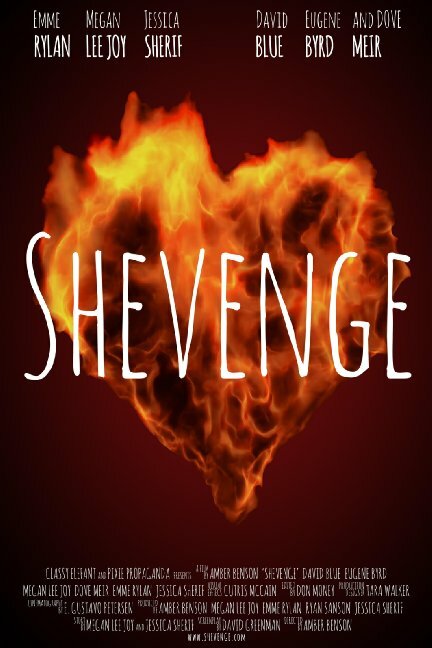 From Buffy the Vampire Slayer's Amber Benson comes this twisted, darkly comedic, genre-bending tale of revenge - a revenge of the worst kind - Shevenge! The film follows Sam, Taylor and Charley as they embark on a journey of revenge and empowerment! While at a killer slumber party, these three best friends drink wine, paint their nails, and pay back their crappy boyfriends. These three best friends discover their own deepest fantasies and take you along for the ride! With a mix of horror, fantasy and action, they seamlessly jump into their favorite genres of film & television. Bloody hilarious and awkwardly honest, Shevenge will leave you astonished, and fantasizing for more!